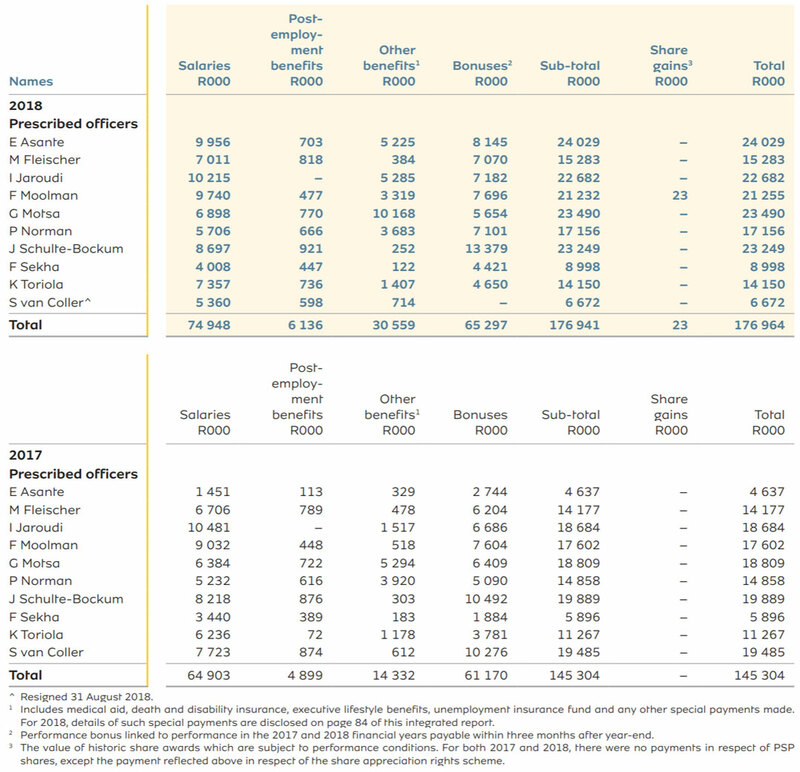 Shuter’s remuneration was made up of a base salary of R15.3-million — up from R11.5-million for 10 months of work in 2017 — plus R25.3-million in bonuses, R1.6-million in post-employment benefits and R746 000 in other benefits. The numbers were disclosed in MTN Group’s annual report, published on Wednesday. MTN’s only other executive director, chief financial officer Ralph Mupita, took home R22.5-million, which included a base salary of R8.2-million and bonuses of R12.8-million. That compared to his total remuneration in 2017 of R17.7-million. But Shuter and Mupita are by no means MTN’s only richly rewarded bosses. MTN South Africa CEO Godfrey Motsa, for example, was paid R23.5-million in 2018, up from R18.8-million in 2017. That included a base salary of R6.9-million, two sign-on bonus payments totalling R9-million and other bonuses worth R5.7-million. 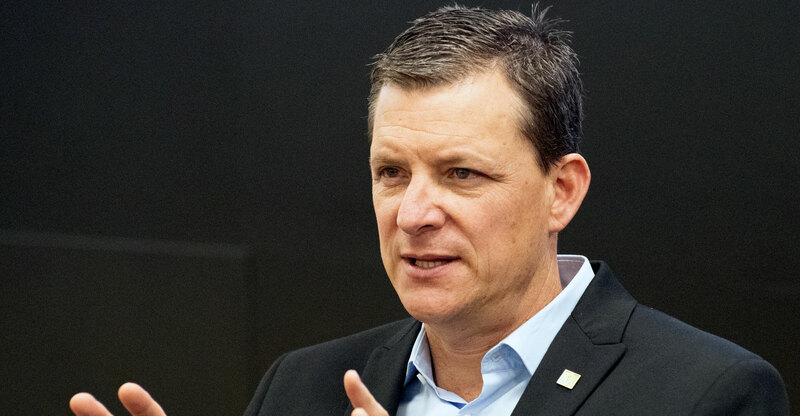 Group chief operating officer Jens Schulte-Bockum took home total pay of R23.5-million (R13.4-million in bonuses), while MTN Nigeria CEO Ferdi Moolman was paid R21.3-million (R7.7-million in bonuses). Other MTN executives who took home total remuneration of more than R20-million in 2018 were Ebenezer Asante (R24-million) and Ismail Jaroudi (R22.7-million).